GEORGE CHMIEL GOES BEASTMODE FOR THE BRAVE. 3000-MILE RUN ACROSS AMERICA SUPPORTS OUR VETERANS. GEORGE CHMIEL GOES BEASTMODE FOR THE BRAVE. 3000-MILE RUN ACROSS AMERICA SUPPORTS OUR VETERANS. 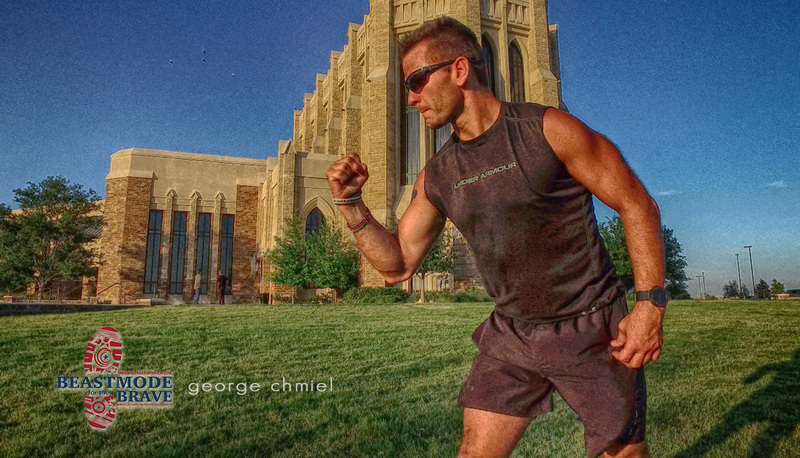 PR Newswire, San Diego, CA – This September 11, on the 15th anniversary of the 9/11 attacks, extreme athlete, George Chmiel, will commence his 60-day/3,000 mile cross-country run from San Diego, CA to Ground Zero in New York City. The event will begin at 9 a.m. aboard the USS Midway aircraft carrier (now the USS Midway Museum) and is open to the public. Hundreds of runners are expected to accompany Chmiel as he officially starts his run at 10:40 a.m. from the flight deck of the Midway – after the opening festivities. Chmiel and his team of patriots have put their lives on hold to honor our veterans and raise awareness of the serious issues they face upon returning home from the battlefield. 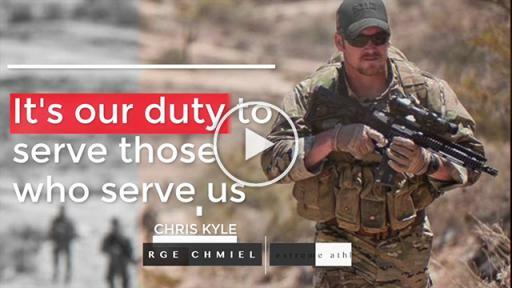 Chmiel hopes to raise $1 Million dollars for the Guardian for Heroes Foundation, an organization founded by American Sniper Chris Kyle. Guardian for Heroes helps combat veterans navigate physical, mental, and emotional struggles through physical fitness. The organization has generated significant interest in their mission through the BeastMode for the Brave Challenge - an initiative to raise funds and increase awareness of veteran issues by using one’s skills, talents and passions in any desired capacity. Dean Cain goes BeastMode for the Brave! Over his 3,000-mile journey, Chmiel will pass through many national/historical landmarks. Most notable are Chris Kyle’s hometown (Midlothian, TX), Dallas, TX, Bentonville, AR, Nashville, TN, The Walter Reed National Medical Center in Washington, DC, Philadelphia, PA and finishing with an emotional tribute at Ground Zero on Veteran’s Day, November 11. Throughout the expedition, George will meet and run alongside our military heroes to help drive awareness of the challenges they face upon returning home. In some major city stops (Dallas, TX, Northwest Arkansas, and Nashville, TN) our veterans will be celebrated with concerts by nationally recognized artists – such as the Newsboys and Jeremy Camp – with proceeds going to the Guardian for Heroes Foundation. Chmiel’s route with Tracking and Statistics capabilities. BeastMode for the Brave is a project started by Chris Kyle and Talon Smith during the beginning phases of the Guardian For Heroes Foundation. 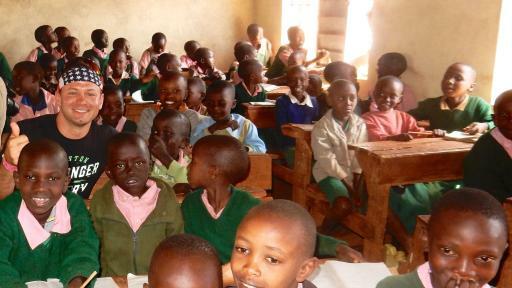 It is the actionable fund raising side of the organization. BeastMode for the Brave exploded onto social media in early 2015 when actor, Dean Cain, friend to both Talon Smith and Chris Kyle, accepted the BeastMode for the Brave Challenge. Dean Cain’s video went viral and created a media buzz around the movement. BeastMode for the Brave has since been featured on Fox & Friends, CNN New Day, and countless local affiliate channels across America. This exposure led to a fateful call from George Chmiel accepting his challenge. George Chmiel is a highly qualified endurance athlete having completed 100-mile races on six continents, including 155-mile ultra-marathons in The Sahara Desert (Egypt), The Australian Outback, The Atacama Desert (Chile), The Annapurna massif (Nepal), The Gobi Desert (China), and Antarctica. 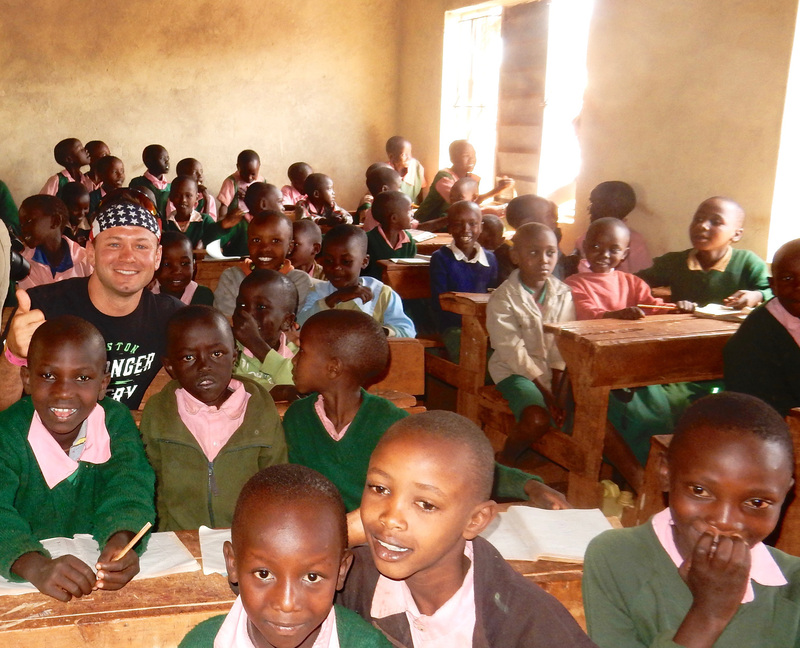 Chmiel has also completed 21-marathons, Ironman Lake Placid and multiple other 50/100 mile ultras. 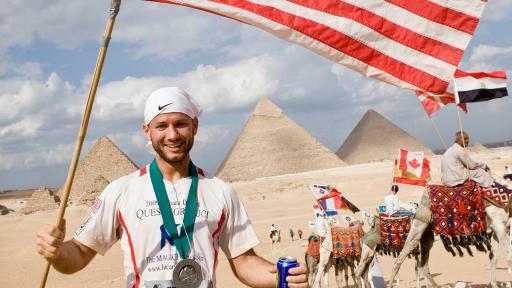 He's one of 150 people in the world to have completed the 4Deserts series, having finished in the top-seven of all 4 races. Most importantly, over the past seven years he's raised over $250,000 in support of his goddaughter Luci and The MAGIC Foundation, which does outstanding work in the fight against children's growth disorders. Chmiel has completed every race he has begun. Chmiel knows he needs to be healthy going into this run. 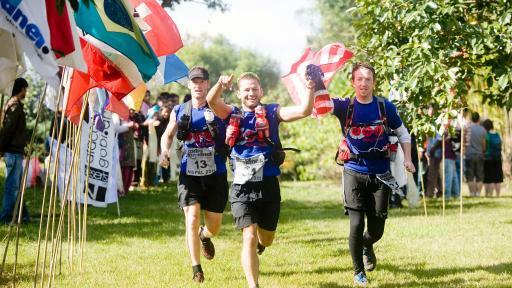 After overcoming a double hernia surgery and fractured pelvic bone in March, Chmiel has been running and cross-training 30 hours a week to prepare his body for this epic challenge. From the depths of Death Valley to the high altitudes of the Himalayans, he has pushed his limits beyond what most people would consider sane or achievable. Chmiel’s upcoming run is roughly 120 marathons and 5 million steps in two months. Some have jested that Chmiel’s run is akin to the movie Forrest Gump. Taking that into account and in the spirit of patriotism, one of the team’s favorite hashtags to entice his online supporters is #RunGeorgeRun. Even more typical of this athlete’s determination (he has finished every one of his international ultramarathons) is #WhateverItTakes. Chmiel is a modern-day American patriot. His father has been employed by the FBI for 50 years and his mother spent her entire career in politics on Capital Hill and at the state level. When so many others are wondering how we can become a united nation again, Chmiel is putting it all on the line and actually showing us what patriotism feels like, looks like, and acts like.